A faith mark can be something as simple as a blue butterfly. My tattoo began that way. On my fortieth birthday I decided it was time to get my first. 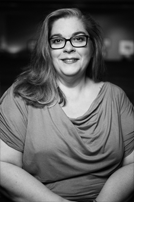 I had been doing internal work with a therapist and had voiced my truth that I was bisexual. My butterfly symbolized coming out of my chrysalis. For seven years my blue butterfly rested on my shoulder, hidden, alone. The tattoo was unfinished, just as my therapeutic work stalled. In 2014 I began with a new counselor and I found my voice. I finally came to accept myself, began to love myself, and finally shared my true authentic identity with my family and the world. It was then time; time to finish my tattoo. The cherry blossom branch completed the image. 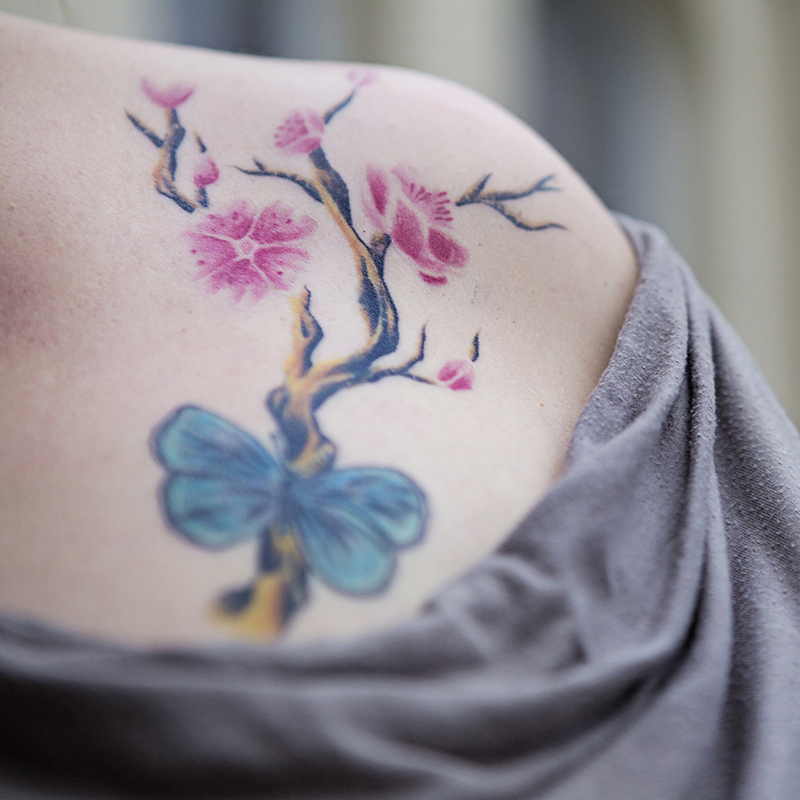 Now, my butterfly sits proudly on the cherry blossom as a statement of my own pride. I have moments when I still look at myself as unacceptable to God. It’s a message I have heard all my life, it will take time for God’s love and acceptance to sink into my bones. My faith mark shows me everyday; when I look in the mirror, that my Creator made me. He walks with me, and he delights in me. I’m the apple of his eye and he sings over me – just as I am. That’s what my tattoo reminds me everyday. My mark; my faith mark, encourages my faith. I hope that in hearing my story, your faith might be encouraged too. Be blessed.